We Know The Good Stuff! Saucy Women Enter Here! This is a site devoted to great books, fantastic food, wonderful movies, good music, and anything that is just plain amazing! Please feel free to share the wealth! Hi girls- It's been a while for me too but still love this blog. 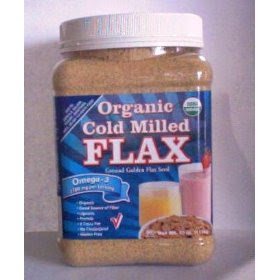 I buy this Flax Seed from Costco. It is the best!! I use it in every recipe in place of eggs. Recently they have been sold out and I have had to cook without it. It actually makes everything taste better. I put it in our am smoothies too. I thought I had a pretty yummy whole wheat pancake mix but realized it was this that made them yummy and chocolate chip cookies just are not the same without it. It has a two year shelf life - not sure how, but great for food storage, etc. hey ladies. it's been awhile, but i'm back in action, looking for business. if you're looking for car seat canopy's, hair bows, toddler girl skirts, or burp cloths...please visit my blog (still under construction!). and if you need any recommendations, just ask Marilee! My last post was about the great etiquette blog The Pink Teapot! So here's another post about a FANTASTIC GIVEAWAY! Click here to go to The Pink Teapot and follow the instructions to enter the giveaway! Its been a long time! We need to get back on the WKTGS bandwagon! Just wanted to let you all know that a good friend of mine has a blog about etiquette. Its a cute blog and way super fun to read. You can even email her any questions you may have about etiquette and she'll answer you on the blog! And right now she's running a contest to win a flirty apron. So click HERE to check it out! This book is seriously awesome! It has some fantastic ideas about 'Training' your kids to do the things that they need to in order to be successful, independant adults, instead of leeches. It isn't that the ideas are new, it is just that it puts everything you want to teach your kids into an plan of action that you can adapt for you. Not only does it cover household things, but teaching your kids about saving and spending and investing and all of that stuff. I am about half way through it and have loved it. Oh and for those of you with little ones, her plan starts with 3 year olds and goes right on through until you kick them out or your house to fend for themselves! You can find it at your local Deseret Book or have your sister send it to you from hers (Thanks Marilee). I believe Merrilee Boyack is a 'TIME OUT for Women' speaker. Let me know what you think if you read it!!! I wanted to share a recipe with everyone.....but it comes with a warning. These are so deadly sweet and delicious. Don't be scared by the ingredients, trust me, you will want to make these over and over and over again. Thanks Pioneer Woman, you rock. * Peal and core apples. Cut apples into 8 slices each. Roll each apple slice in a crescent roll. Place in a 9x13 buttered pan. Melt butter in a small pan then add sugar and barely stir. Add vanilla, stir and pour over apples. Pour soda around the edges of the pan. Sprinkle generously with cinnamon and bake at 350 for 40 minutes. Serve with vanilla ice cream or Cool Whip. Spoon some of the sweet sauces from the pan over the top. Enjoy. Go into a sugar coma. If you try these let me know what you think. 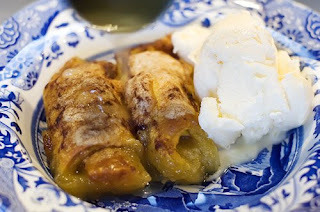 They were a huge hit last night at my house! So the first one helped me get through my first few months of Pregnancy. 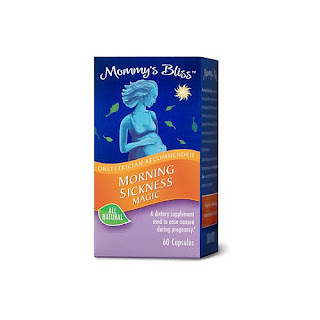 It is Mommy Bliss, Morning Sickness Magic. It didn't totally take all of the nausea away, but it definitely helped ease it and made me much more functional. I've heard of the Preggie Pops or some other stuff, but I don't like hard candy and so these worked great. They are all natural and have folic acid, ginger, B6 and Raspberry or something in them. I highly recommend at least trying them to see if they help. If you are pregnant that is. You can get them at BabiesRUs for about 10 bucks. Product number 2 I discovered this week. My hair stylist recommended it. I have really fine oily hair and cannot go without washing it everyday. I have tried to 'train' it, but have had no luck, it still in greasy and stinky by the end of day two. I had heard of Dry Shampoo, but never taken the time to go buy it. Until last week that is! Who can resist a product called 'Rockaholic Dirty Little Secret Dry Shampoo.' I mean not only is it Rockaholic, but Dirty Little Secret, it couldn't be better!!! 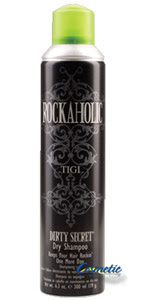 It is made by TIGI and let me tell you it is AWESOME! Really truly I love it. It completely solves my problem and now I can go an extra day without having to wash and blow dry! Being Pregnant and hot makes that an extra bonus. Give it a whirl. I found it at a beauty supply place for $18.95. Worth every penny! Since "P-dub" (PW) has changed my life--I thought I would do a lovely post about it. I love her site! It's a cooking blog (she also has a photography blog, home & garden blog, and I think something else, too) with tons of pictures and funny comments to boot. But the food blog is my FAV. Most of her food is pretty simple and of course, not necessarily low calorie--but they are easy enough to lighten up if ya need to. Anyways, I recently shared it with a good friend of mine, and she liked it just as much as I do! So now I know it's not just me. Ha! Hope you enjoy it! Click HERE. I'm writing this as I eat some sweet corn tamales from Bajio....so don't judge me. I am 8 months pregnant and trying. 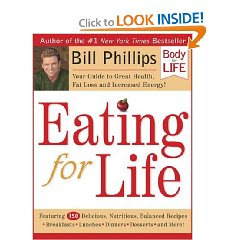 So in an effort to eat better, my hubby and I are eating most of our meals from the Eating for Life book. If you don't have this yet, it's a must have. It's the recipe companion book to Body for Life, which totally and completely works. I wanted to post a pancake recipe that I made this morning, and was SUPER surprised how delish it was. So very easy and nutritious. ENJOY!